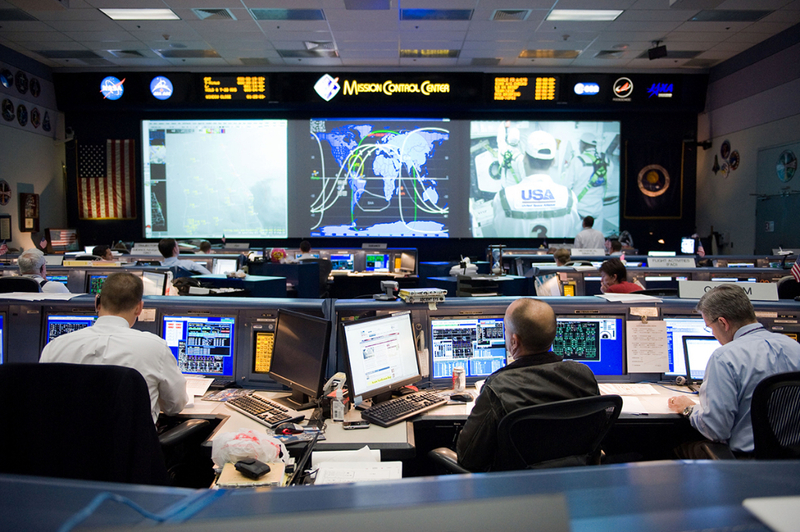 The Level 9 Tour is the ultimate VIP experience, giving unprecedented behind-the-scenes access to the real world of NASA as well as more than 400 things to see and do at Space Center Houston. 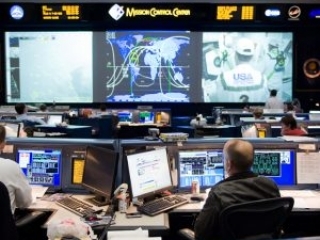 On the four- to five-hour guided tour of NASA Johnson Space Center, explore where and how astronauts train, learn how NASA Mission Control Center communicates with the International Space Station and discover the past, present and future of space exploration. 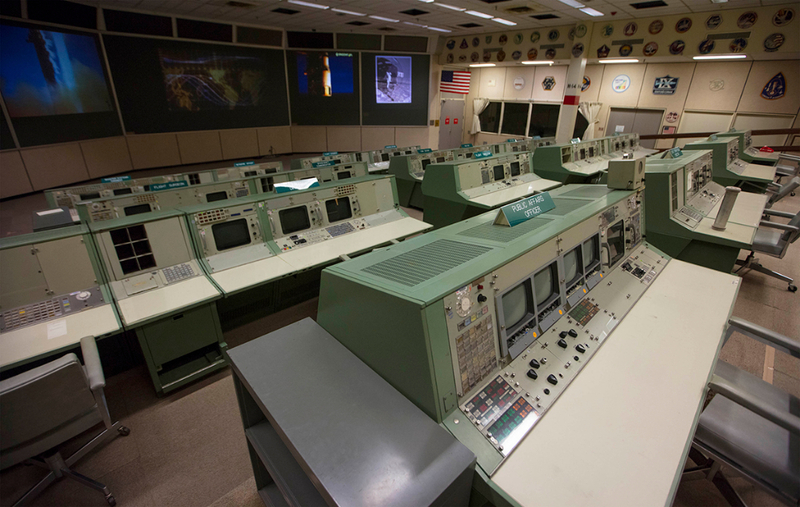 Visit iconic locations such as Apollo Mission Control Center and Orion Mission Control room. Tour current Mission Control and explore Rocket Park, home to the massive Saturn V rocket, the most powerful rocket ever flown. 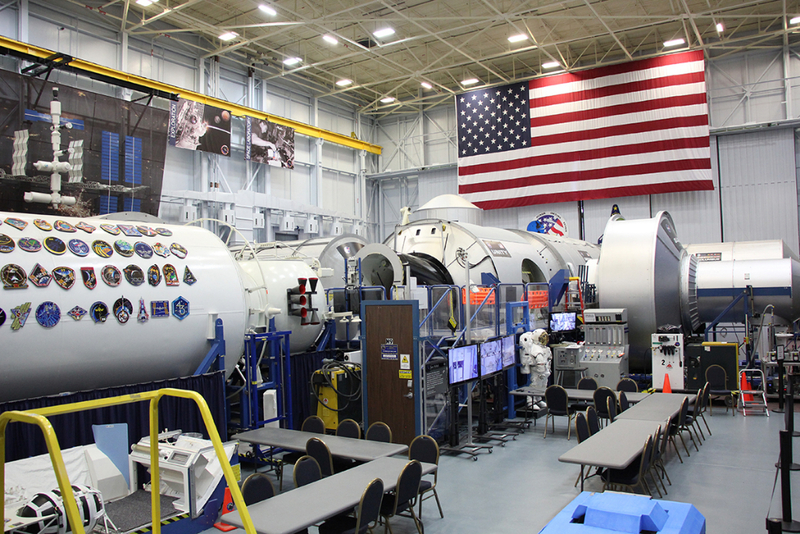 Walk the floor of the Space Vehicle Mockup Facility in Building 9 where astronauts train and scientists and engineers develop the next generation of space exploration vehicles. Our highly trained guides will lead you through your experience sharing interesting information and answering your questions. 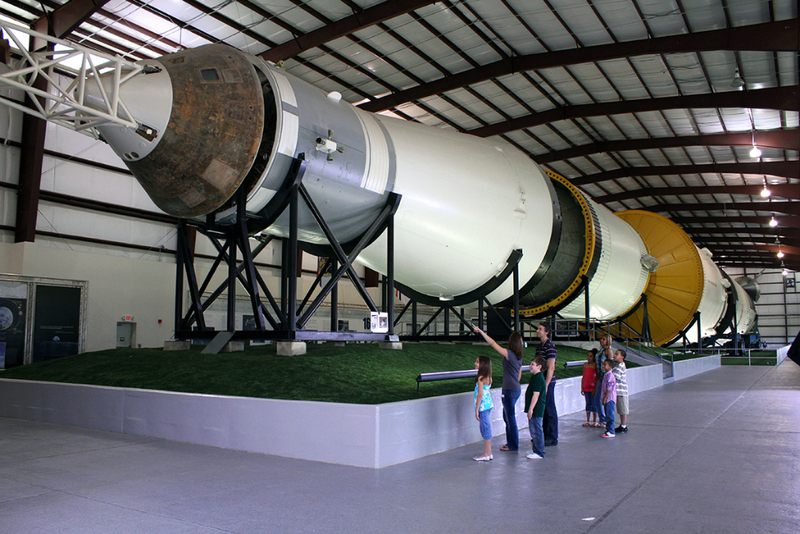 Level 9 Tours include a second-day ticket allowing you to return another day to explore Space Center Houston and its unique artifacts. Discover our flown spacecraft, touch a Moon and Mars rock, explore a shuttle carrier aircraft and more. Level 9 Tours take place Monday through Friday and participants must check in and gather at the tour start location by 10:45 a.m. or 11:15 a.m., depending on the tour. Tickets are $179.95 each. The maximum group size for a Level 9 Tour is 12. Participants must be 14 years old or older to take the Level 9 Tour. Advance reservations must be made at least one day prior to visit. Tickets may be purchased on the day of the tour at the Space Center Houston Guest Services Desk if seats are available (tickets often sell out far in advance of the tour). Cancellations must be made two weeks prior to the date of visit to be refunded. Tickets purchased less than two weeks from the date of the visit will be nonrefundable. Date changes or reschedules must also be done two weeks prior to the visit date. If you use a wheelchair, please inform us in the “Order Notes” during your purchase. Personal effects may be required to be locked in tour vehicle while touring sensitive areas. Cell phone calls in the van or in the buildings on the tour are prohibited. However, you may use a cell phone to take photos while touring approved areas. Building availability is subject to change based on safety regulations and astronaut training schedules. Closed-toe shoes are required for all participants on a Level 9 Tour. Order tickets online or call +1 281-283-4755 to schedule your Level 9 Tour. 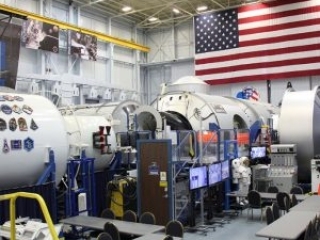 The Level 9 Tour costs $179.95 and includes two-day admission to Space Center Houston and an exclusive behind the scenes one-day VIP tour of NASA with lunch at NASA Johnson Space Center. What is the difference between the Level 9 Tour and the NASA Tram Tour offered as part of general admission to visitors? The Level 9 Tour is limited to 12 guests. It takes you by private mini bus on an extended tour of NASA Johnson Space Center to buildings that are not accessible through the general NASA Tram Tour. You do not have to wait in lines to take your tour. Lunch is included in your tour. Does the Level 9 Tour include lunch? The Level 9 Tour includes lunch only on the day of your Level 9 Tour. Is it possible to make a reservation online or do I need to do so by phone? Reservations can be made both ways: online by clicking here or by calling +1 281-283-4755. 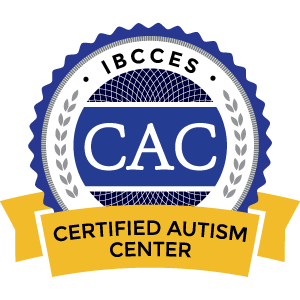 Cancellations must be made two weeks prior to the date of visit to be refunded. Tickets purchased less than two weeks from the visit date are nonrefundable. Date changes or reschedules also must be made two weeks prior. Please call +1 281-283-4755. Does the price include admission to Space Center Houston? Yes, the price of a Level 9 Tour includes admission to Space Center Houston the day of your tour and the day following your tour. Can discounts or coupons be applied to the cost of the Level 9 Tour? No. 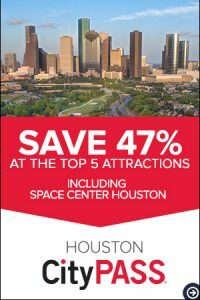 This is a special added-value tour package and the admission to Space Center Houston is already discounted in the price for tour participants. Can children younger than 14 years old take the Level 9 Tour? No, no one younger than 14 can go on the Level 9 Tour due to safety requirements set by NASA Johnson Space Center. We have a one-year-old child. Since we are adults, can we bring our child with us? No, due to safety requirements at NASA Johnson Space Center, everyone participating in the tour must be 14 years of age or older. Can we take the Level 9 Tour on a Saturday or Sunday? No, Level 9 Tours are available only on weekdays. The Level 9 Tour lasts approximately four and a half to five hours. Comfortable, closed-toe walking shoes are suggested. Where do I check in for the Level 9 Tour? When you arrive at Space Center Houston, enter the building through the main entrance. Go to the Guest Services Desk on your right to check in, receive your badge and learn the start location of your tour. You must be at your tour start location by 10:45 a.m. or 11:15 a.m., depending on the tour. May I enter the building before my tour time? Yes, you may enter the building any time after opening and we encourage you to arrive early. 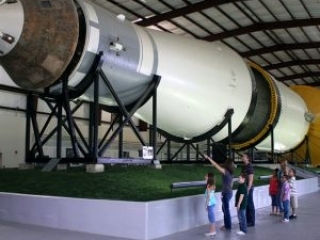 The tour cost includes your visit to Space Center Houston. A crew member at the Guest Services Desk will check you in and tell you the start location of your tour. Please arrive at the tour start location promptly by 10:45 a.m. or 11:15 a.m., depending on the tour. 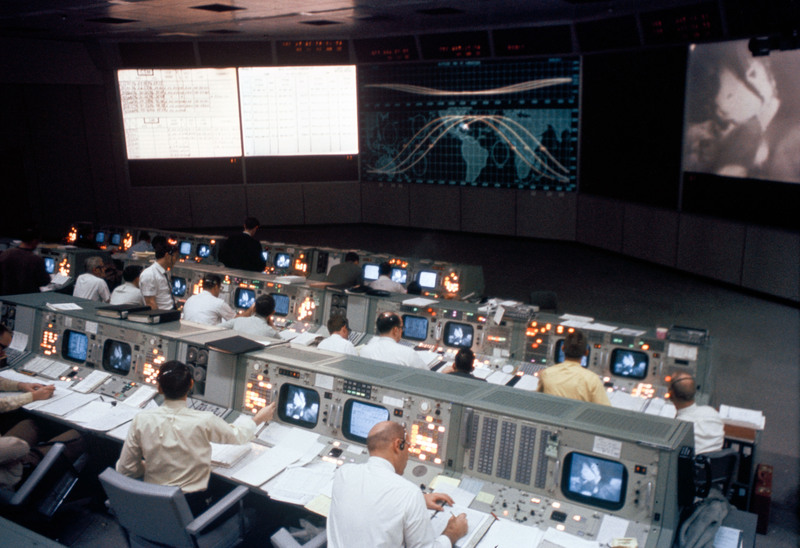 Crews are working diligently to restore Apollo Mission Control Center. This national historic landmark will reopen to the public in early 2019. 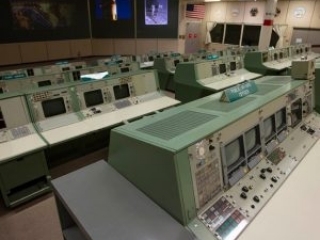 Learn about the extensive efforts to restore Historic Mission Control for the 50th anniversary of the lunar landing in 2019 and how you can help.